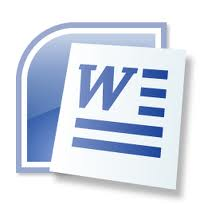 Microsoft Word training. Word 2016, 2013, 2010. Introductory, Intermediate, Advanced. Sydney, CBD, North Sydney, Macquarie Business Park, Ryde, Chatswood, Parramatta. Word 2016, 2013, 2010. Introductory, Intermediate, Advanced. Are you looking for Microsoft Word training courses but course outlines don’t quite seem to fit your requirements? Some learners need to know how to mailmerge whilst this will not be of interest to others. Some learners need to know how to format long documents, creating tables of contents, using heading styles and section breaks; others only have smaller documents to work on, but may need to know how to create tables. Some learners need to be able to track changes; for others this is not relevant. Some learners may want to be able to create online forms. We provide Microsoft Word 2010 training courses, Microsoft Word 2013 training courses and Microsoft Word 2016 training courses, all tailor-made to suit the needs of the individual or organisation though you will find our costs are no higher than for a standard course. In general, we divide these courses into three levels – Introductory Word training, Intermediate Word training and Advanced Word training, though our course outlines are very flexible. Our Microsoft Word training courses Sydney, are available in all suburbs including Chatswood, Macquarie Business Park, Waterloo, Ryde, etc. We can still provide Microsoft Word training courses outside this area but would then need to charge for the travel expenses of the Word trainer. Visit our blog If Only I’d Known That,; we have called it that because we hear it so many times in training sessions. In fact, if only we had an extra $150 for every time someone says “If only I’d known that.” …. Prices are PER DAY, and NOT per-person! E.g. if there’s 6 people on the course, you pay $1295 + GST. Although we include links to Microsoft Word training course outlines below, all training can be adapted to the needs of the individual or organisation and we would encourage you to think about what you actually need from the training and contact us to discuss. For further details, please fill in the contact form. If you are ready to book, please fill in the contact form with your first and second choice of date – if we cannot accommodate these dates we will arrange a mutually convenient date within 24 hours. I found this a really helpful course. There were so many aspects of Excel I wasn’t aware of. I now feel much more confident with Excel. Clear and effective presentation, found the course very useful with tips to improve time management. Thank you! Life will be much easier. Very easy to follow, well-paced course. Relevant to what I do daily. The trainer is one of the best I have encountered – approachable, patient and understanding. Makes one feel at ease. The course (Assertiveness) was a lot better than I expected. Very engaging and found myself 100% engrossed in all topics discussed. A nice change from other courses that just focus on PowerPoint presentations. This is a good mix of role plays, videos, etc. Many thanks for yesterday. I’m feeling a lot more confident with the Minutes I do. We provide Microsoft Office training courses, other IT training courses and Personal Development training courses in Sydney, CBD, North Sydney, Chatswood, Parramatta, Upper and Lower North Shore, Alexandria, Arndell Park, Wetherill Park, as well as Western Sydney, the Hills District, the Sutherland Shire and the Central Coast. We will travel further if expenses are covered. If you feel there is any way in which we could help you or your business, please do not hesitate to contact us. We will be happy to arrange a meeting to discuss your requirements further.